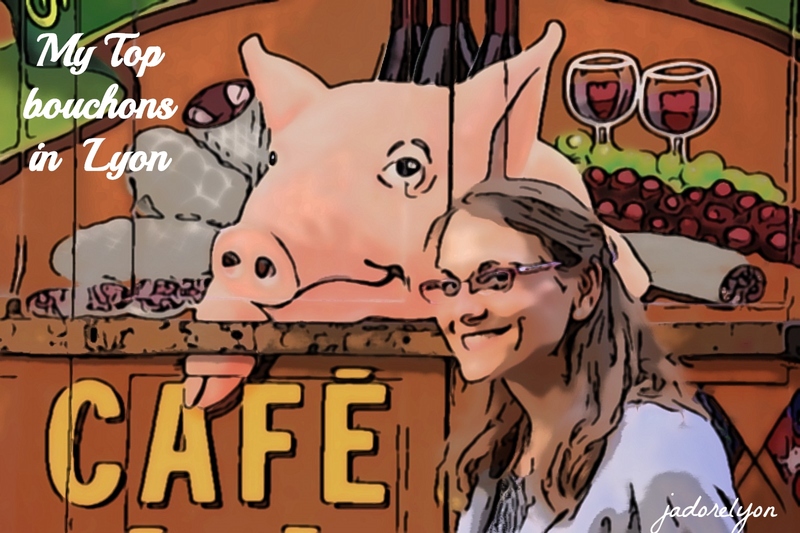 My Top bouchons in Lyon to get the best French food experience! Since I started the subject of eating out in Lyon, I thought I will not be very reliable if I don’t give you the suggestions for the typical Lyonnais bouchons. These traditional bistro restaurants exist only in Lyon and they are the top MUST DO experiences you have to have in Lyon. I will go further in saying that your visit to Lyon will not be completed without trying out at least one bouchon. Why? I have already explained the story behind famous bouchons here. I told you why Lyon is the capital of gastronomy, what are the bouchons and even more, I gave you some tips on how to spot and choose the real bouchon in Lyon. Now it’s high time to share with you my top 5 bouchons in Lyon worth having a meal in. As I’m a very picky eater and as I am surrounded by some typical Lyonnais people, I hope my selection is really reliable ( I’m not TripAdvisor or food critic at all😉). So, I don’t know everything, I haven’t had a chance to try all bouchons in Lyon and so my list needs your comments. If you ever tried any bouchon and liked or disliked something please do share with me. I would be the most grateful and happy! Thanks and bon appetit! I probably should not say that but this is my favorite one. 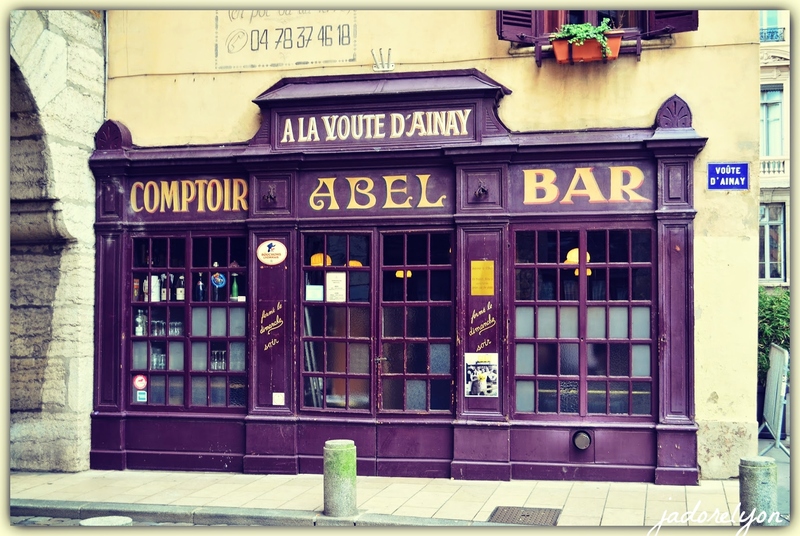 Café Comptoir d’Abel is the oldest and certainly the most authentic bistro in the city. A very Lyonnais atmosphere with waxed floors, French ceilings, super staff, very tasty food etc. It’s quite hidden in Lyon and outside it doesn’t look very spectacular but it’s inside what counts. 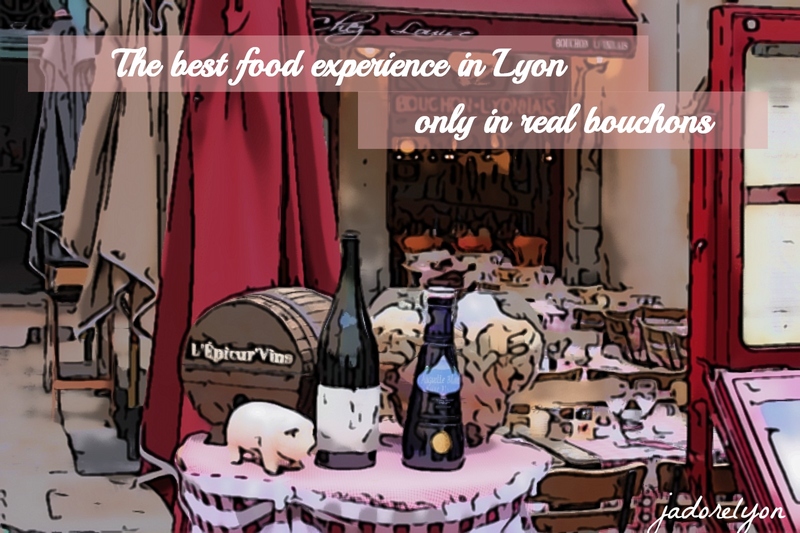 The chef, Alain Vigneron has been cooking there since 1976 so it’s almost 15 years of preparation of the top quality home-made dishes and traditional specialties of Lyon which are worth trying. This time, a very good Lyonnais bouchon is located in the district of Cordeliers. Since the beginning of the autumn of 2015, this bouchon acquired the very famous chef Cédric Garin, previously working at the Victoria Hall (awarded with at the Gault Millau prestige). So the standards of the traditional Lyon cuisine are maintained or even extended. The chef changes his menu and his suggestions according to the market of the day, because here everything is fresh and homemade. It’s quite spacious in contrary to many small and cozy bouchons and It has quite chic and modern spirit. 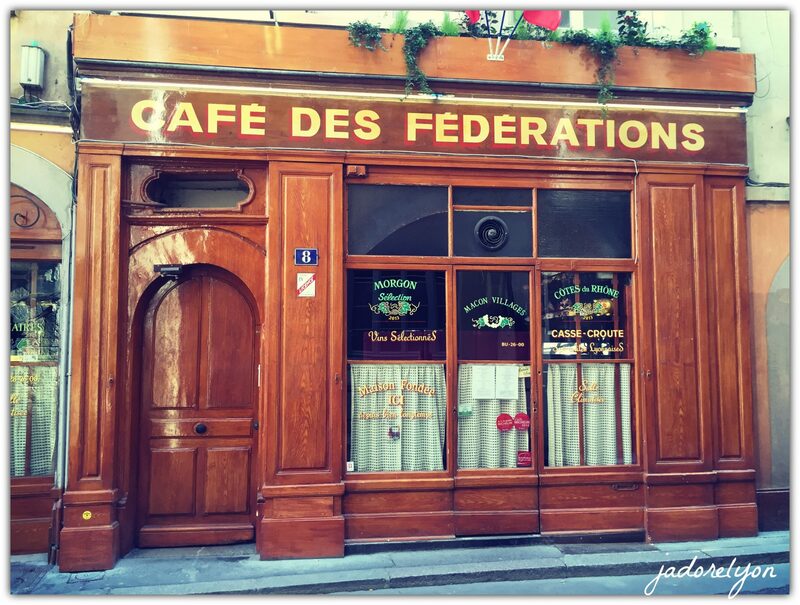 Located in the heart of the 1st arrondissement of Lyon, Cafe des Fédérations is a small yet very cozy bistro which serves the typical Lyon cuisine. You can taste here all the essentials of the traditional cuisine of Lyon: charcuterie and salad Lyonnais, La Quenelle de brochet à la Lyonnaise, sauce Nantua, Le Saucisson pistaché en brioche, praline tart which is the most delicious you could ever taste and so on . As for the typical bouchon you will not be disappointed as the relaxed and friendly atmosphere is there. It’s a well known and appreciated by many Lyonnais themselves. 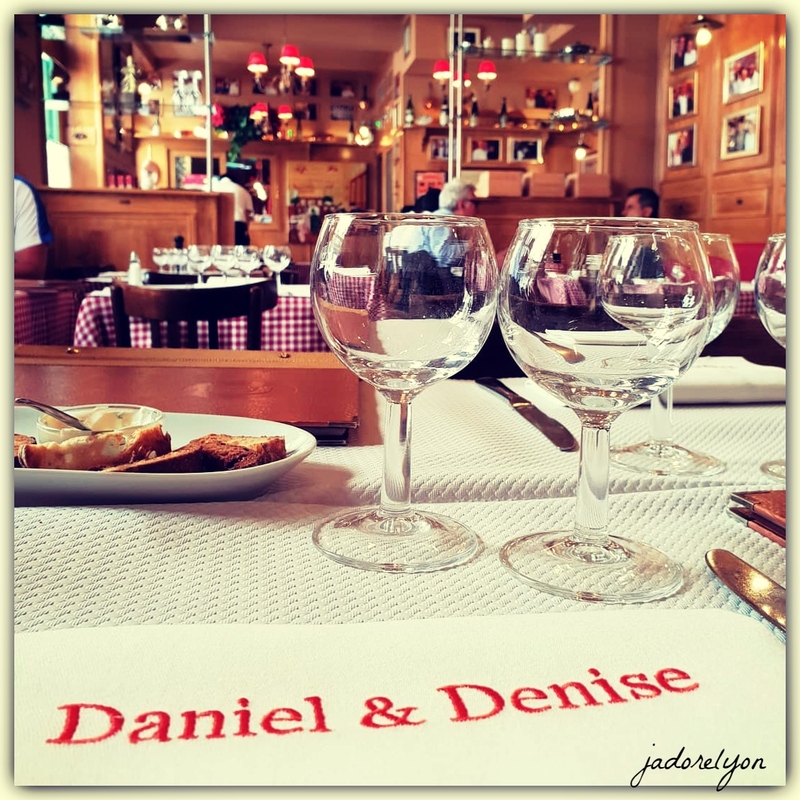 Daniel and Denise Saint Jean is a Lyons bouchon located in Old Lyon. 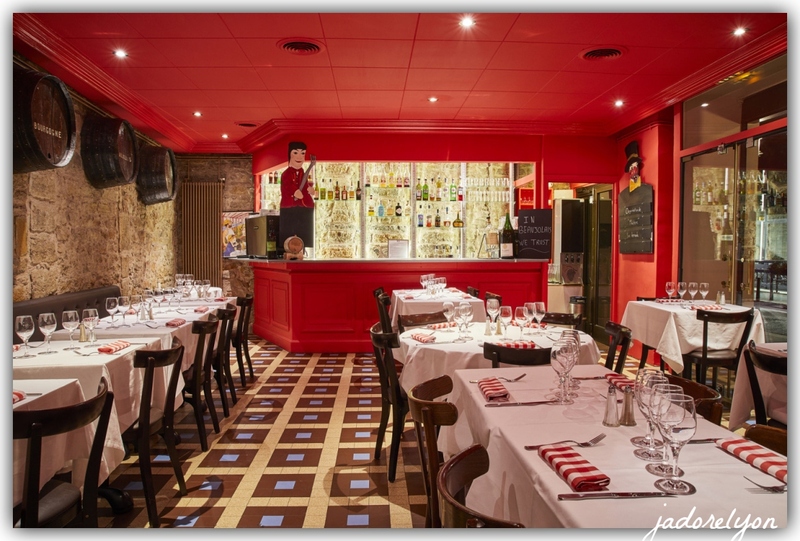 It is one of the three traditional restaurants of chef Joseph Viola – a chef very famous in France. On the menu, you will again find all the specialties of Lyon: Lyonnaise salad, La Poitrine de veau “Français” roulé, farçie à la « Lyonnaise », Le Travers de cochon “Français” confit aux aromates,L’Andouillette à la fraise de veau, sauce à la crème de moutarde, les Oeufs frais en meurette, and Le Pâté en croûte au foie gras de canard et ris de veau (Champion of the World 2009)! Also, enjoy the wines as this bouchon offers a well-stocked wine list, with more than 70 references. Lastly, it’s worth knowing that this bouchon also has a dining room that can be hired for private or professional events. It is a real Lyonnaise tradition which you can find in the heart of Old Lyon. Chez Marcelle, is a very good and very traditional bouchon, full of many objects and furniture typical for the bouchon and offers a home-made Lyonnais meals. It’s a really nice place to eat well in the Saint-Jean district. 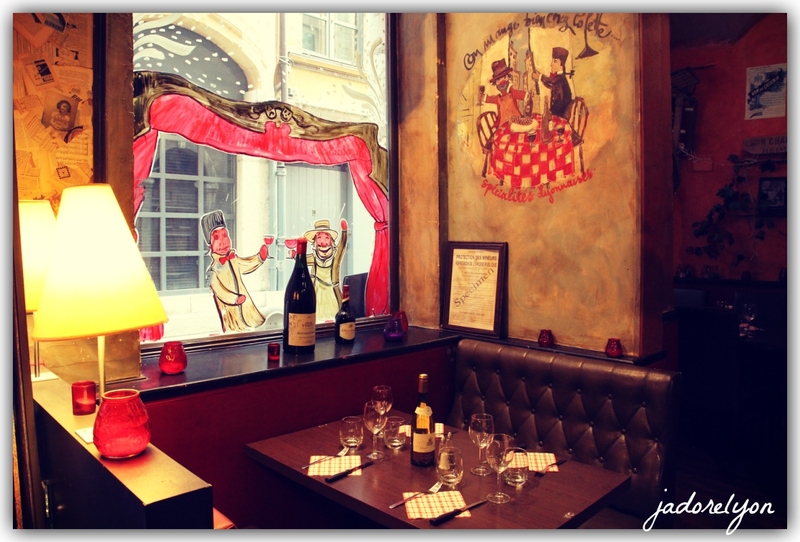 It’s easy to spot it as it’s located opposite the Cour des Loges hotel and it has an atypical decor. The walls are decorated with many objects relating to Lyon life and cooking. Now about its delicious food. Chef of the Chez Marcelle, Samuel Chevallier offers traditional home cooking. I could not recommend more his famous quenelle with homemade lobster sauce, Lyonnais dessert: praline pie. But don’t forget there is more Lyonnais specialties on the menu: meat, fish and salads, always well done. Lastly, it’s a nice family business that creates a very warm atmosphere. So did I make you hungry for some real food experience in Lyon? I hope so. Because Lyon is so beautiful city worth visiting for its history, people, architecture, monuments etc. And if you add the fact about traditional bouchon than Lyon is an unmissable place to visit in Europe. Don’t you agree? So now tell me which bouchon would you like to go to next? … yummy things…. Great post I love visiting the Bouchons in Lyon and I’ll add these to my list for next visit. I recently visited Les Fines Gueules and it was really great!